On the left side, click the grey tab labeled “Photos”. 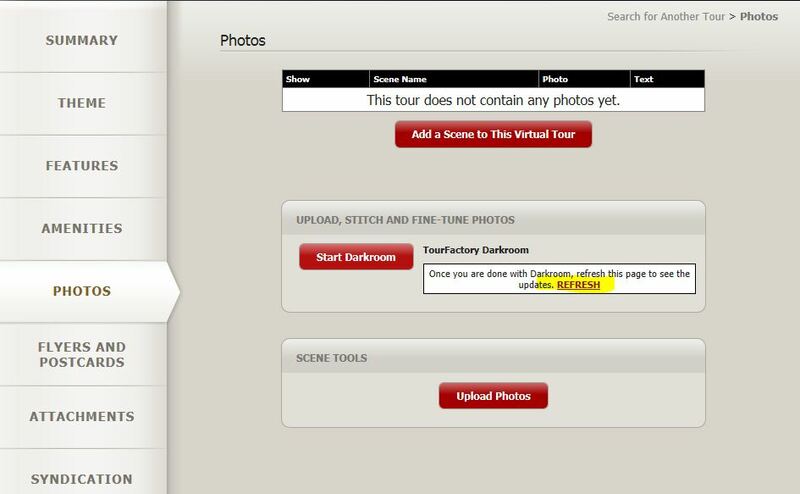 From the Photos tab, click the red button labeled “Start Darkroom” Note: Darkroom is only available on Windows PCs. If you are a MAC user, please click here for uploading instructions. 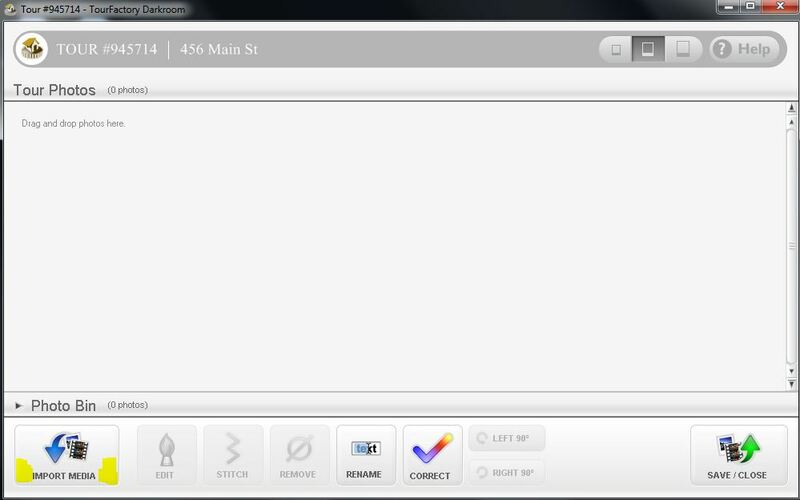 If this is the first time you have used the Darkroom on the computer you are using, you will need to install the program. After clicking “Start Darkroom” you will see a pop up appear asking if you would like to run this application, click “Run”. Note: If you are using a browser other than Internet Explorer, you may need to install a browser extension. 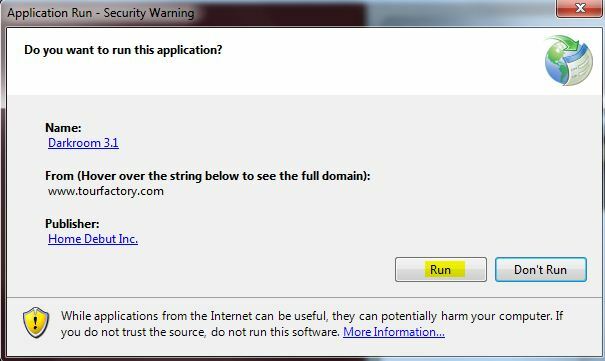 If this is the case, you will be directed to a page with a link to the browser extension you need. If you have difficulties installing the browser extension, please try launching the Darkroom in Internet Explorer or call 888-458-3943 for further assistance. Once the installation has completed, Darkroom will appear. Click the “Import Media” button at the bottom left. Browse for the photos on your computer. 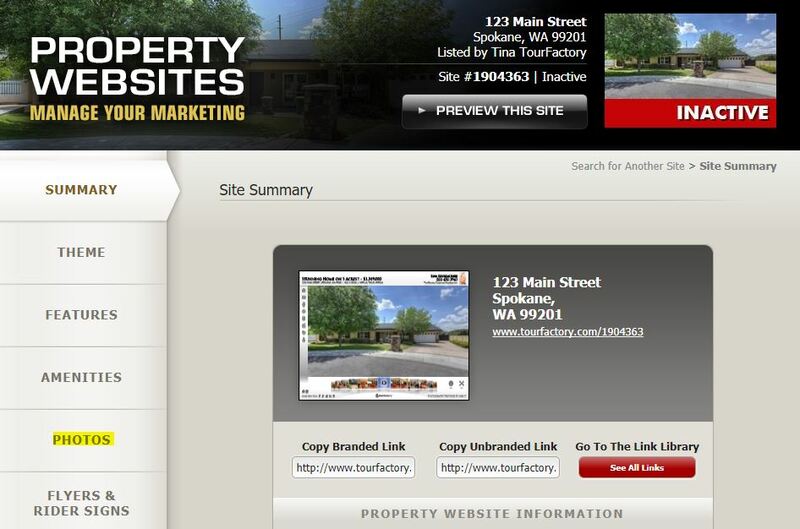 Once you have located the photos you would like to add, click “open”. 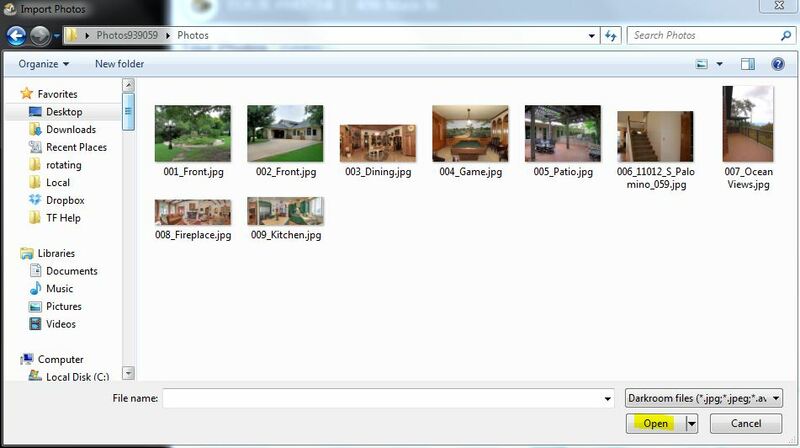 Expert Tip – You can select multiple photos at once by holding down the “Ctrl” key on your keyboard and clicking the photos you need. If you would like to upload all the photos in the folder you are in, press “Ctrl”+”A” on your keyboard to select all the files at once. Your photos will now be imported into the Darkroom and you can rename, color correct, and edit your photos using the toolbar at the bottom. 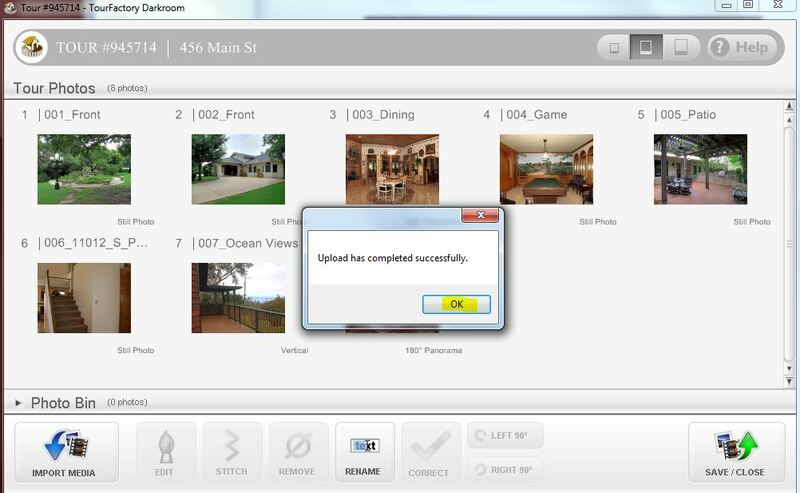 To arrange your photos, drag and drop them into the order you would like. 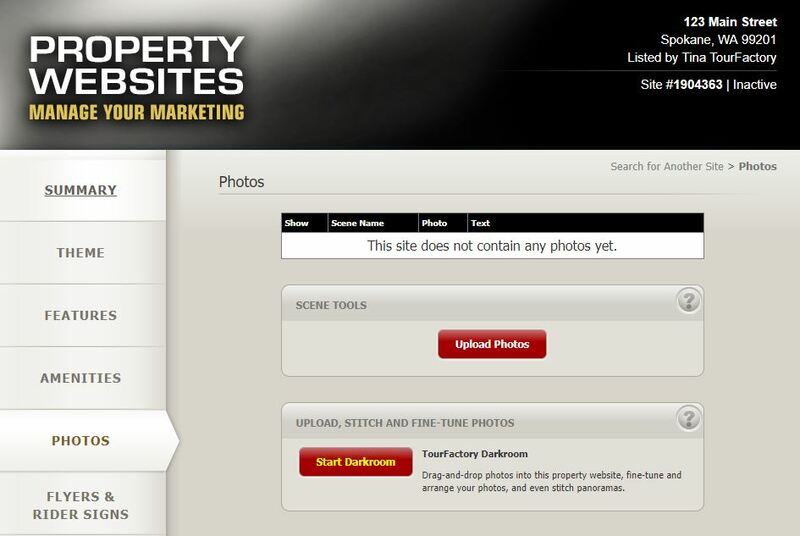 Once you have your photos ready for the property website, click the “Save/Close” located at the bottom right to start the upload process. Once your upload has completed, click “Ok” and you will be returned to the photos tab. Click “Refresh” to see your changes. 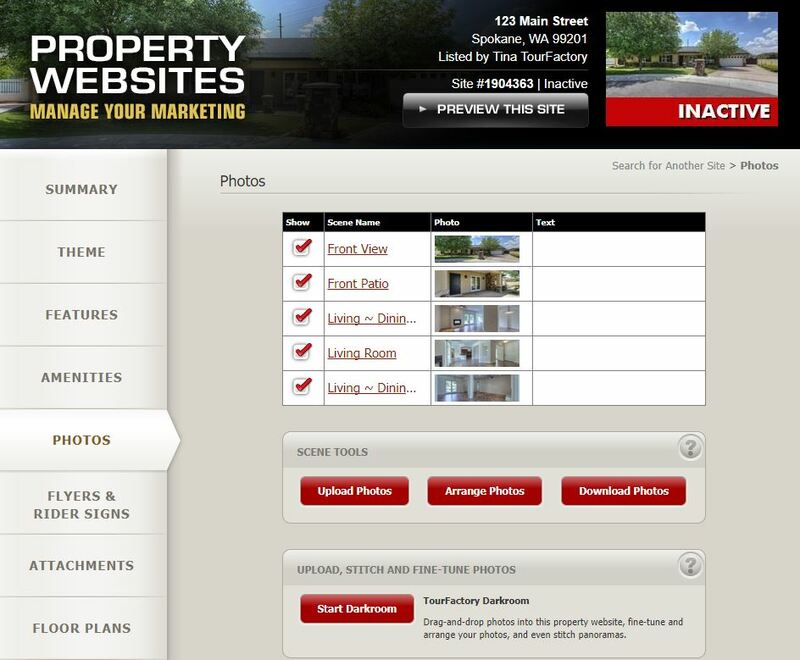 Your photos have now been uploaded to your property website.